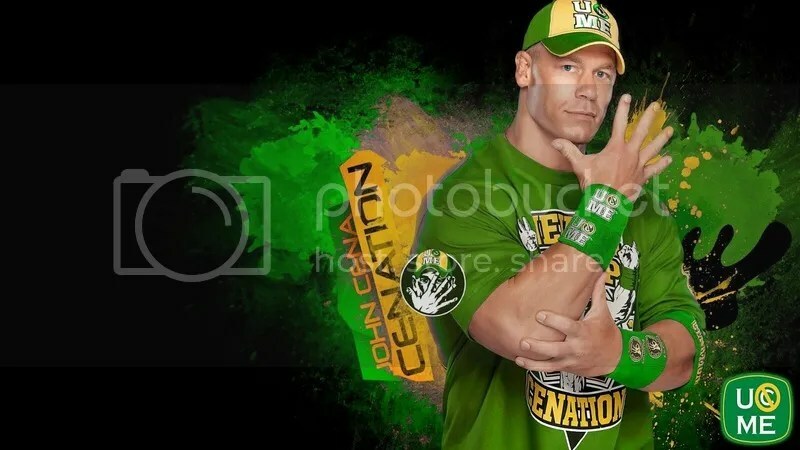 This week I take you through how I did my new portrait of John Cena! Also, new art featuring Wade Barrett, Curtis Axel, Sheamus, Roman Reigns, Seth Rollins, and Dean Ambrose! 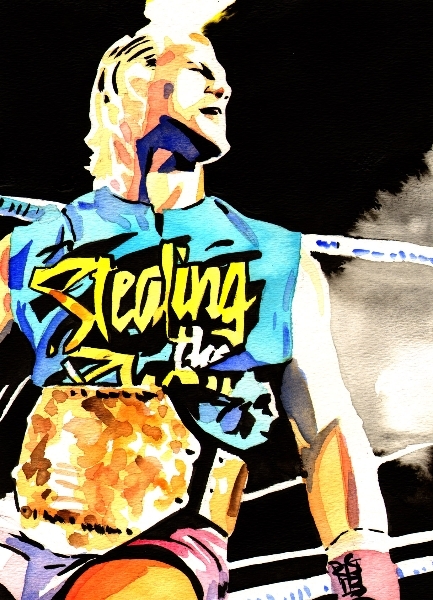 Plus updates on what’s up for auction through WWE! And finally, El Chuparobra clarifies the mysteries of art for you! 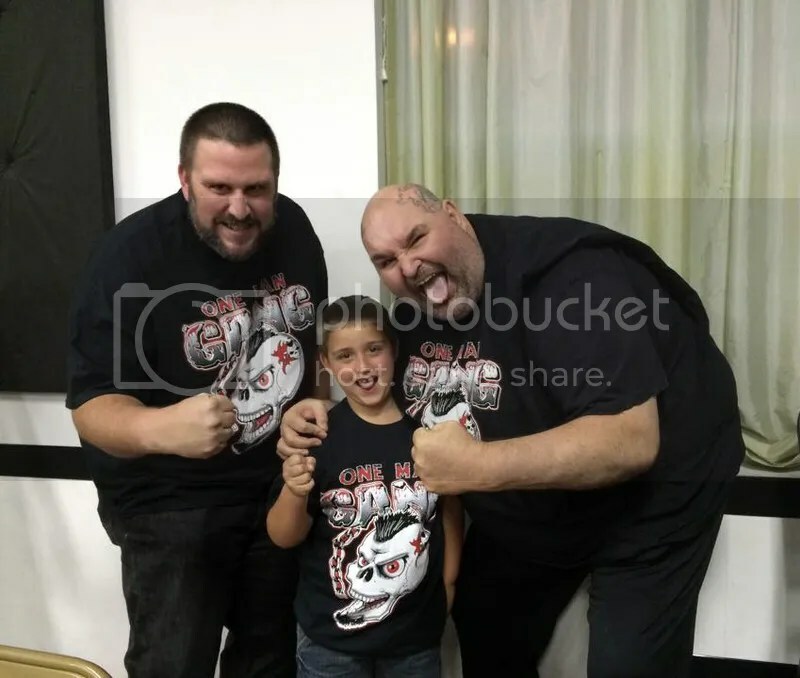 Last month at Pro Wrestling Epic we were on hand to watch the PWE Champion the Mississippi Madman team up with former WWE’s Eugene to take on “The Future” Donovan Ruddick and Mason Beck. During the evening I had the chance to sit down with a young Michael Hayes. 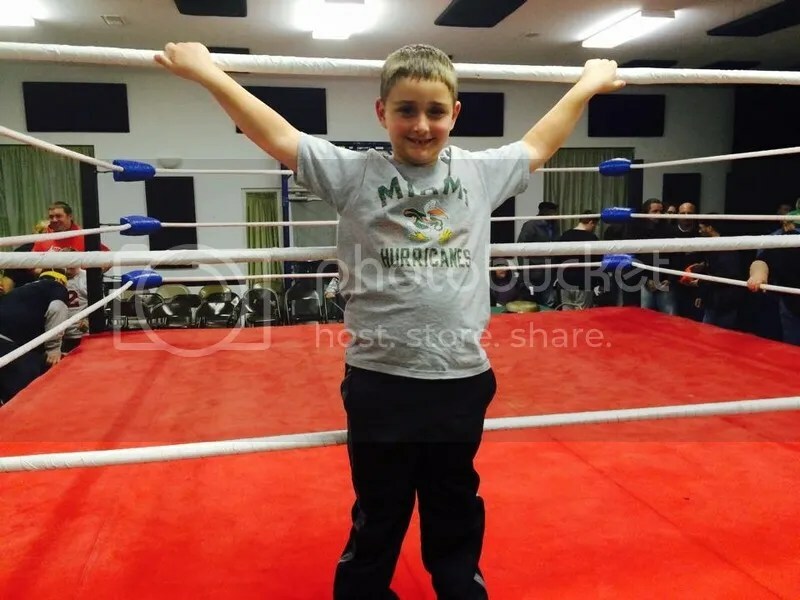 Hayes is just beginning to train under Eugene (Nick Dinsmore )and the rest of the staff at Ohio Valley Wrestling. Ohio Valley Wrestling is recognized around the world as one of the finest professional wrestling training facilities in the industry. OVW counts among its many accolades that it was once one of the official developmental programs for World Wrestling Entertainment (WWE), the sport’s leading promotion. Over the years, OVW has trained over one hundred superstars for the WWE, including many current and past WWE Champions: Batista, John Cena, Victoria, Doug and Danny Basham, Shelton Benjamin, Charlie Haas, Randy Orton, plus many more including Rob Conway, Eugene, Sylvan Grenier, Bobby Lashley, and Lance Cade. Located in Louisville, Kentucky, OVW‘s training center is under the supervision of OVW owner “Nightmare” Danny Davis, a former pro wrestler with nearly 30 years’ experience in wrestling, managing, promoting, and training, with Rip Rogers as lead trainer – who is a veteran pro wrestler and trainer in his own right. Let me share with you a special interview I did with Hayes. 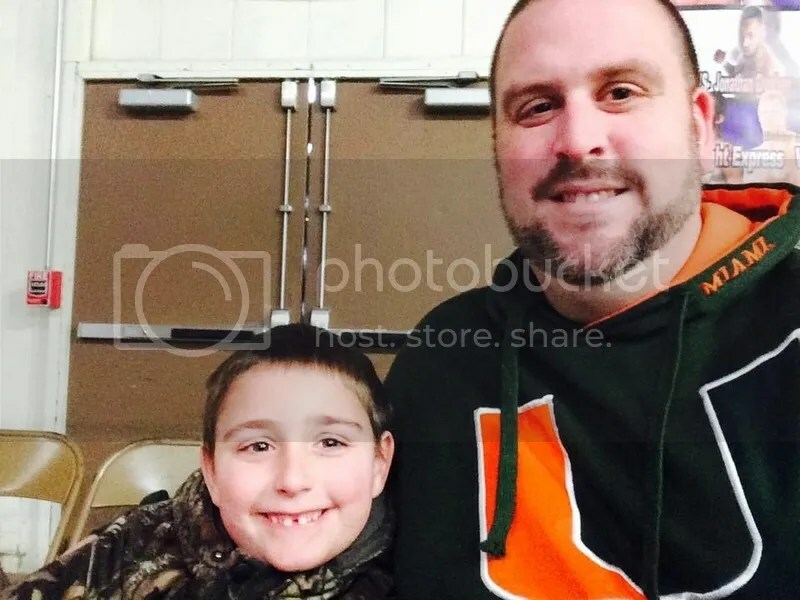 Thank you for taking the time to join me with a new Dubi meets the fans, where today we are at Pro Wrestling Epic for the very first edition of Dubi meets the Fans at PWE. This night promised to be special because one of MWR’S rising stars the PWE US Champion “Irresistible Brandon Aarrons was set to face the current Ring of Honor World Champion Tyler Black. Aarons has won the hearts of fans in St Louis but it would be interesting to see how this match up would go. In the near future Brian will have a photo recap of this historic match up as well as the rest of night of wrestling action from Mt Pulaski Illinois. This was also the night were we debuted the Tyler Black MWR Trading Card, and we presented Tyler Black with a MWR Top Draw courtesy of MWR Artist Dartallian Allen. To start the night Brian introduced me to the Nose Bleed Seats MOAV5706 and Chris Lee who had brought his son to the show and I caught up with the famous Crime Fighter. To find out more info on our friends at the NBS checked out their site here. Meanwhile I was on the hunt to find some people for this edition of Dubi meets the fans. I was thrilled to meet an energetic group of fans from Lincoln Illinois with one stating that they try to go to all the local shows. We talked about wrestling and they said nationally they like John Cena but on this night they were excited to meet Tyler Black. After Tyler got done visiting with some fans he was kind enough to join us for a picture. Danny, Richard, Greg, Mike , Jerry and Scott all had the chance to get their picture taken with the hottest wrestler today Tyler Black. The next group of fans that I met was uncertain who they wanted to chose for the night but stated that they would let me know at Intermission. Krotch had open the night in exciting fashion with a win against MR. Late Nite’s protégé Graves. Karma would come back to bite Graves as the week prior he, “The Perfect Weapon” Morbid and MR Late Nite turned on Cabal leaving him brutally laying in the ring after they lost to Mephisto and Justin Wade. This night Mr. Late Nite would show his true colors when he turned on Graves before the match ended. The ace in the whole for this weasel of a manager was he had just paid for the services of one of the Midwest most powerful man in the Midwest “The Future” Donovan Ruddick. 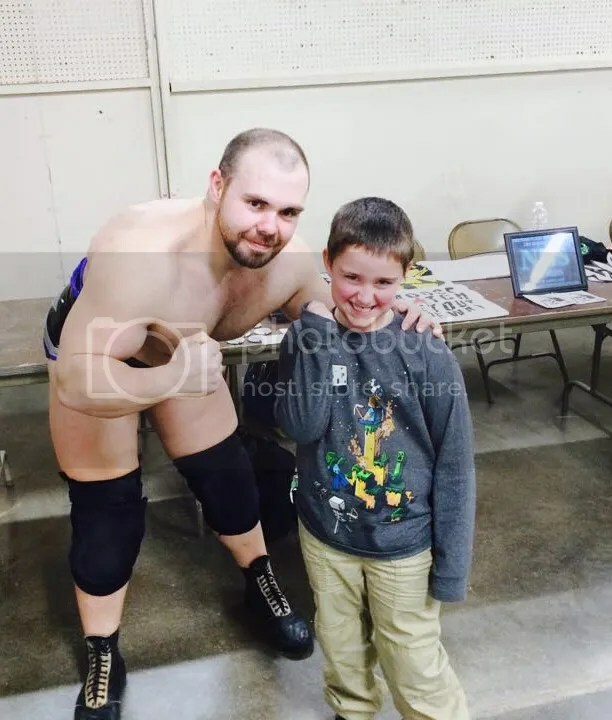 With the exciting win Krotch once again was chosen for the Dubi meets the fans picture, making him one of the most requested wrestlers in the Midwest for this feature, wheather it is at 3XW, MECW or PWE the fans can not get enough Krotch…. Wait Did I just say that? Melissa, Charles Mariah, Kristin and Tommy all posed with Krotch. Ruddick would make an impact later in the night when he turned on his friend The Mississippi Madman. The Madman had a cast on his hand due to an injury and was not expecting the assault by Ruddick. The Madman promised to get revenge when he heals up. Ruddick and his manager Mr. Late Nite would not be done when Ruddick challenged Jimmy Karryt for the HWC Championship. 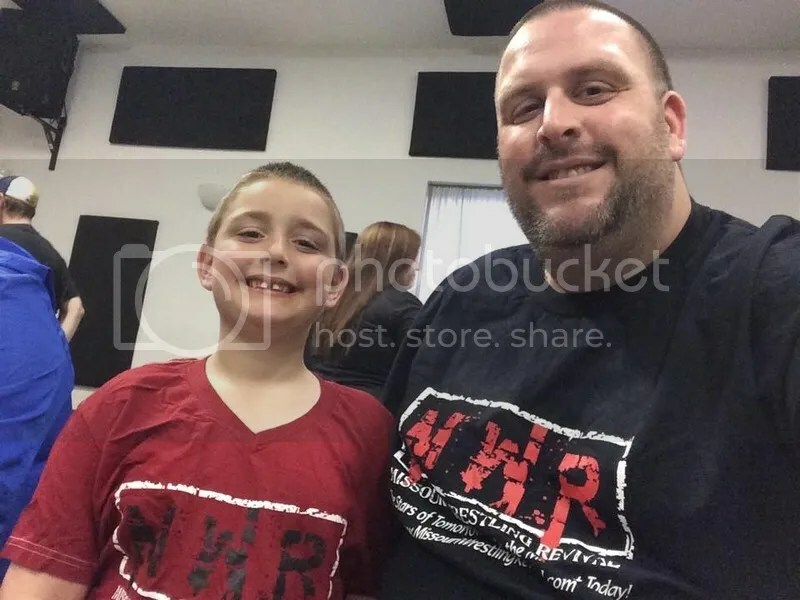 Brian is a big fan of this rising star and had asked if he would do the honors of wearing a MWR Shirt to the ring prior to his match. In a hysterical moment of the night Brian was attempting to take a picture of Karryt coming to the ring and was backing up where he nearly went head over heels on a bunch of chairs that got the laugh of the night from the crowd. That’s my boyfriend. 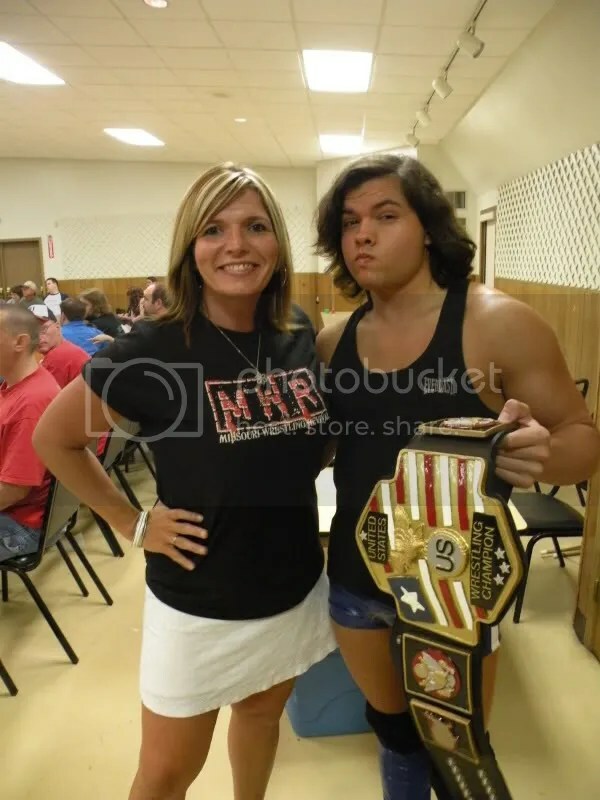 Karryt threw the MWR Shirt to young Paula Merrell and though he lost the title and was bruised and battered he still took the time to pose with his fan. 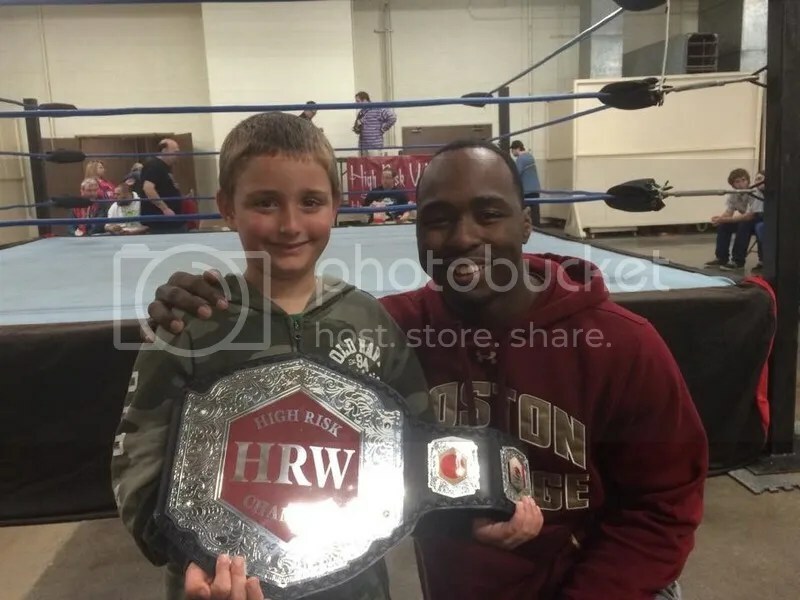 Unfortunately Ruddick and Mr. Late Nite would not be denied as they would go home with the HWC Title in my personal opinion of the match of the night. I look forward to a rematch between these two in the near future no pun intended. 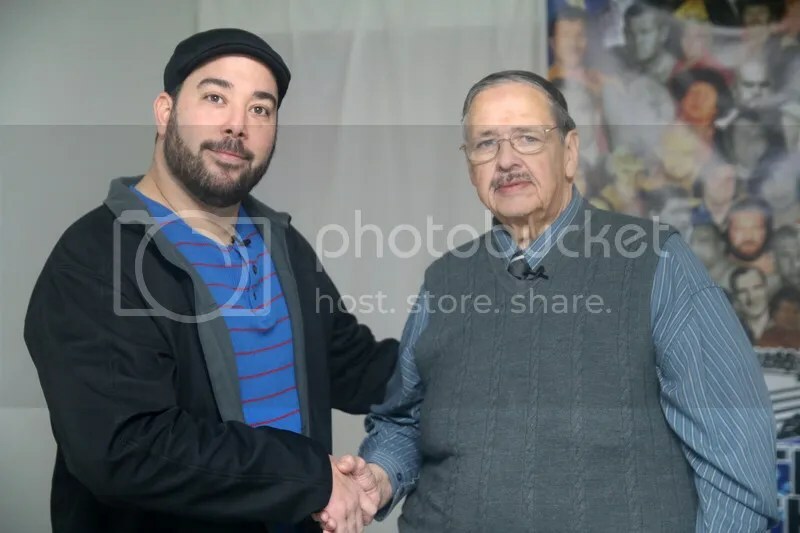 I had to decide on whom my pick for the Dubi meets the Fans photo and who would be better than the PWE US Champion Brandon Aarons prior to the biggest match in his career. I won’t lie the trip was long but we had a great time while having a lot of fun. The wrestling was very good and PWE announced that evening that they would be returning to Lincoln Illinois Balloon Festival on August 28th. We went last year and had a great time watching wrestling outside while the Balloon liftoff was going on. If you missed it check out Brian’s Photo Recap of that show here and mark your calendar for this date. Springfield Illinois we will be coming to your town when MWR comes to New Midwest Wrestling for the very first time on July 10th. Look for Dubi meets the NMW fans!! Come see Living Legend Mil Mascaras in a rare appearance in the Midwest at NWA Dynamo on Wednesday April 29th. What do John Cena, The Rock, Roddy Piper, Hulk Hogan and Steve Austin all have in common? They each followed the footsteps of Wrestling Legend Mil Máscaras who went from being a Superstar in the sport of wrestling to being a star on the big screen. 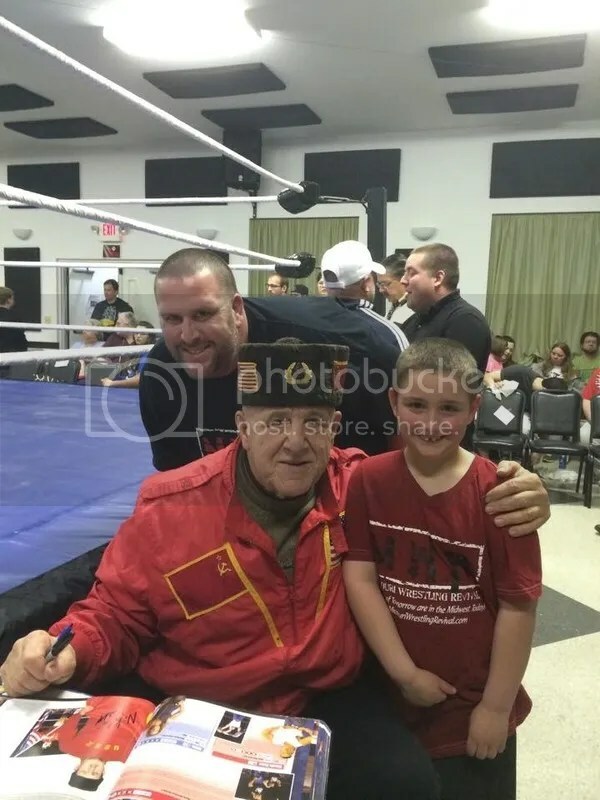 Thanks to Ring of Honor, the Midwest wrestling fans got to meet living legend Ric Flair in St Louis this past March. Later this month on April 29th in Ottawa Kansas NWA Dynamo invites you for what could be a once in a lifetime chance to meet the Lucha Libra’s version of America’s Hulk Hogan, Mil Máscaras. Mil Máscaras who is nicknamed “The Man of a 1,000 Masks” is not only a hero in Mexico but his contributions to the sport of wrestling changed wrestling around the world. He is credited with becoming one of the first masked luchadores outside of Mexico to be cheered outside his home country. Máscaras was blessed with great size and conditioning that permitted him to Main event around the world. 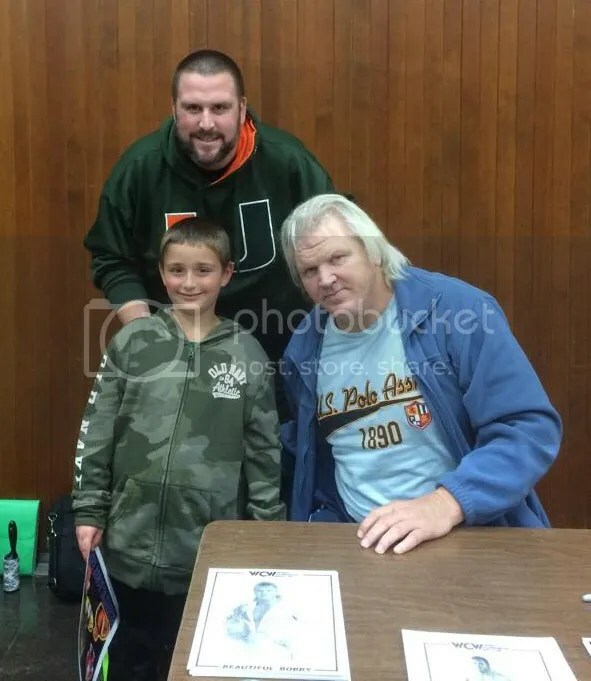 He thrilled the fans with his great knowledge of the wrestling moves and was able to awe them as he was one of the first wrestlers to introduce the high-flying moves of lucha libre, such as the plancha and tope suicida. His impact on the wrestling world has had ringing endorsements from his peers, The original Tiger Mask, has described Máscaras’ impact on Japanese professional wrestling, “If it weren’t for Mil Mascaras, there would be no Jushin Liger, Último Dragón or the Great Sasuke today,”. Younger fans should know that Mascaras’ success in the US also paved the way for other luchadores such as Rey Mysterio, Jr., who just recently won the WWE Intercontinental Championship at WrestleMania. Just imagine if you combined John Cena and Rey Mysterio then what you would have is Mil Máscaras. A man who had the power and flew with ease, one could say the perfect wrestler. Just like Elvis Presley, Mil Máscaras’s physique, colorful attire and flamboyant personality had the fans begging to see more of the star outside his profession. Mascaras gave the fans what they wanted and went to star in movies. His self titled film “Mil Máscaras” in 1966 jumped started a career in the movies that have spanned five decade long. One of the very first Wrestling pop culture icons Mil Mascaras, is immortalized with his own action figure. On April 29th you can join Mascaras as he will be filming a special match for sequel to his last movie “Mil Mascaras: Resurrection” originally title Mil Mascaras vs. the Aztec Mummy.Join NWA Dynamo Pro Wrestling for one of the biggest wrestling events in the Midwest of 2009 when Hollywood and wrestling meet once again. Pro wrestling returns to Ottawa, Ks. when NWA Dynamo Pro presents a night of exciting action culminating in a huge main event where former NWA World Junior Heavyweight Champion Tony Kozina takes on the “Man of 1,000 Masks” Mil Mascaras. Mr. Mascaras will be filming scenes for his latest film project titled Mil Mascars: Aztec Revenge through out the evening. Come be a part of this historic night of action an possibly end up seeing your face on the silver screen. N.W.A. Dynamo presents a most unique match-up as former 2-time N.W.A. World Jr. Heavyweight Champion, Tony Kozina squares off against the Legendary “Man of a thousand masks” Mil Mascaras on Wednesday night, April 29th 2009 in Ottawa, Kansas, just outside of Kansas City. Kozina went off in a post-match interview after Chikara’s King of Trios in Philadelphia on March 29th. “For 12 long years I’ve sat by quietly, and respectfully while I’ve been passed over, and underrated. Well today it stops, because I will sit quietly no longer. I issue a challenge to any and all promotions across the globe, and to every world class professional wrestler around the world! 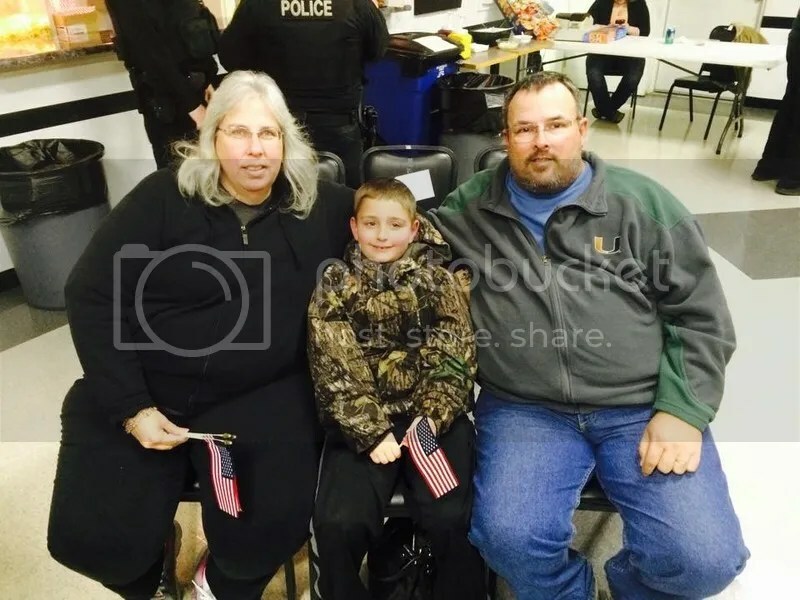 Tony Kozina will sit quietly no longer. I’m gonna be here year after year until I face the very best and earn my place among the very best in wrestling. You can’t break my spirit. With that, this unusual challenge was met by one of the greatest and most famous Luchadores in wrestling history. In a rare U.S. appearance, Mil Mascaras, coming in from Mexico City, Mexico, will take the stage to face the brash and determined Tony Kozina in a match that will no doubt give the Pacific Northwest native exactly what he wants. A chance to face the very best in professional wrestling from around the world. Get your tickets now for this once in a lifetime event at NWA Dynamo Pro Wrestling. 12-14-2008 Absolute Wrestling Radio. Next week you can win free gifts!! Mark Bland and Matt Krueger host the new episode of Absolute Wrestling Radio. Highlights include a preview of the MWR Best of the Midwest Match 3 at LWA on January 3rd. The Midwest dream match of ROH Star Tyler Black taking on LWA Champion Jeremy Wyatt. Thank you to the ABS family for taking the time to let others know about a match that is a must see in 2009. They also discuss WWE’S Armageddon, UFC’S Ultimate Fighter Finale show. Find out also which one enjoys watching Spongebob SquarePants and they ask who would you like to see from TNA take on WWE Superstar John Cena. This episode has an exciting hour that has a little of everything. Join ABS Radio next weekend from 2 P.M. to 3 P.M .for a special Christmas broadcast. You will have a chance to win two prize packs that include DVD’S, T-shirts and more from Absolute Wrestling Radio. To hear the 12-14-2008 show go to MWR-ABS Podcast. Then add Absolute Wrestling Radio as your friend on Myspace.